At Corporate Drive Dental Clinic, we are delighted to assist our clients in maintaining happy, healthy smiles through our general dentistry services. General dentistry involves routine check-ups, preventative hygiene and various treatment services which are designed to maintain optimal oral health. Our general dentistry services are tailored to the needs of each client, and we cater to people of all ages. We take your dental history and individual needs into account when formulating treatment plans, enabling us to provide you with the best possible service. General dentistry is our most popular service, with most patients visiting us twice per year for preventative care check-ups. Our friendly team have extensive experience within the field of dentistry and know exactly what to look for when it comes to oral health and dental conditions. For a typical visit, we will complete a thorough clinical examination, plaque and tartar removal, professional clean and polish, oral cancer screenings and X-rays if necessary. 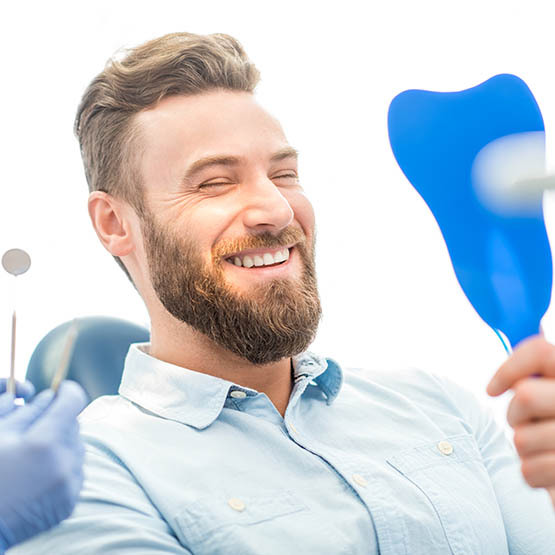 We understand some patients have a fear of visiting the dentist, but we make sure to take a gentle, compassionate approach towards all patients so that you can always maintain optimal oral health and a beautiful smile. We will then provide you with expert advice on treatments and remedies to correct any issues before they become worse. Corporate Drive Dental Clinic are experienced in the extraction of problem teeth. We provide in-chair removals under local anaesthetic, and we specialise in simple and complicated extractions. We will assess the state of your teeth and only recommend extraction if it is absolutely necessary. We approach all procedures in a calm and orderly way, keeping you comfortable at all times. If you have been experiencing pain or severe toothache, we would recommend coming in for an examination. It is important that problem teeth are seen to as early as possible, as this will allow for the best treatment outcomes. We can work around your busy work schedule, as we are located within the Parkview Business Park Heatherton, in close proximity to Moorabbin, Cheltenham, Clarinda and Bentleigh East. Fillings are necessary when teeth have become decayed, damaged or worn. Good oral hygiene and a healthy diet goes a long way in preventing the need for fillings, but once tooth decay has set in it is important that it is treated as soon as possible. Time for a check-up? Have a question to ask of our dentists? Looking to have some general dentistry work carried out?